Planning For Eternity: 5 Things To Do Today! “Well done, thou good and faithful servant…” Isn’t that what we want to hear from God? He gives us the precious gift of life with all its joys and sorrows tempered with people we love and those who cause us to struggle. No matter who we are or what we do as believers—we will one day give an account of our lives. God has no personal favorites in the kingdom. He equips every believer with what they need to overcome temptation, resist the enemy, and grow up in spiritual maturity. Start planning with the following 5 directives you can do today! #1) Make sure that you are saved by grace alone! “Examine yourselves to see whether you are in the faith; test yourselves. Do you not realize that Christ Jesus is in you—unless, of course, you fail the test?” (2 Corinthians 13:5). It’s a tragedy how so many people think that they are a part of God’s kingdom when they are not. Unfortunately there are those who believe that their good works will get them to heaven. Sometimes people believe that all paths lead to God without having to put their faith in Jesus. It’s an essential that you place all your faith for eternal security in the death, burial, and resurrection of Jesus Christ. You can’t work off your sins by doing good things. He rose again so that we have victory over the power of sin and death. There’s no other way to the heavenly Father, but through His Son, Jesus Christ. Just remember eternity lasts much longer than any time or struggles on this earth. Don’t look back on your time here with regret of all the “I should’ve done this or that when I had the chance”. Start your eternal journey with heavenly choices today! #2) Analyze the work you do for God to make sure it will survive heaven’s scrutiny. “If anyone builds on this foundation using gold, silver, costly stones, wood, hay or straw, their work will be shown for what it is, because the Day will bring it to light. It will be revealed with fire, and the fire will test the quality of each person’s work” (1 Corinthians 3:12-13). Jewels are expensive due to their rarity and genuine value. A fake gem will quickly melt and fall apart under intense heat. However, diamonds and other precious jewels can stay true to their elementary structure even under fire. The same is true for the work we do in the kingdom of God. We must ask ourselves the following questions regularly: why am I doing this work? Is the Lord leading me to do this or am I simply responding to outward pressure? What is the eternal value of what I’m doing? What are the gift(s) given to me by the Holy Spirit? Am I using them? Be honest, be prayerful, and be open to what God may lead you to do or even in what to not do. #3) Forgive those who have offended you. “And when you stand praying, if you hold anything against anyone, forgive them, so that your Father in heaven may forgive you your sins” (Mark 11:25). Someone once asked about forgiving others when it’s difficult to do. Making the choice to forgive isn’t as difficult for those who regularly choose it regardless of how they feel. Forgiveness should eventually become a spiritual response for those who’ve matured in the faith. Choosing to forgive doesn’t mean there isn’t consequences for the offense. Actually God may lead you to detach yourself from harmful people. The main focus is your heart’s submission to Christ’s teaching of forgiving just as you are forgiven by the Father in heaven. Seek out the Lord’s wisdom, comfort, and healing from the offense that may still hurt. #4) Establish a legacy of love and peace with those who are around you. ”You, however, know all about my teaching, my way of life, my purpose, faith, patience, love, endurance, persecutions, suffering” (2 Timothy 3:10-11). A funeral or celebration of life can give some indication of how a believer lived out their faith around other people. Yet that’s only the beginning, the real test of your legacy will be in the months and years afterwards. Your spouse, your children, your boss/co-workers, your neighbors, your teachers/students, and many others who lived close with you—will display the fruit of your faith. What trials did you handle with the grace of God? How did you handle disappointment? Were you a generous giver of your time, money, and energy especially to those who could never pay you back? The imprint of your life should leave the influence of Christ behind long after you have entered into heaven. #5) Serve God with all your heart. “…and has made us to be a kingdom and priests to serve his God and Father—to him be glory and power for ever and ever! Amen.” (Revelation 1:-6). Many of us have heard from our parents that “a job worth doing is worth doing well”. It’s no different when it comes to serving God. He expects us to serve with all your hearts holding nothing back. He is faithful to provide the strength, resources, and encouragement for us to move forward in working for the kingdom of God. We may hold back if we doubt His goodness and faithfulness. We may forget if we get distracted or tired from the busyness of everyday life. Yet there’s no regret for those who know they’ve fully served God in spite of adversities and disappointments. He equips us to do everything necessary for the kingdom of God when we seek in faith and not in our own strength. We don’t know exactly the day nor hour when the Lord will beckon us to heaven. Therefore, we may not have a lot of time to figure out if we’re going to take the 5 directives or not. Just remember eternity lasts much longer than any time or struggles on this earth. Don’t look back on your time here with regret of all the “I should’ve done this or that when I had the chance”. 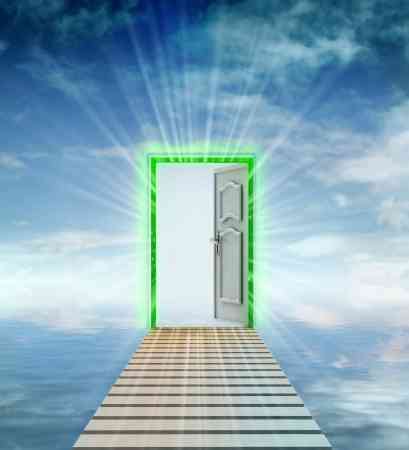 Start your eternal journey with heavenly choices today! Check out this article: What is the Role of Angels in Heaven? This is weird , I was just thinking how I sure need to do more than what I am doing , I know we don’t do to expect an easy time or tithe to get rich in return like some may think , but I sure feel guilty for not trying harder . Thank you for your honesty and transparency. Let me encourage you with the fact that our God only convicts us of sin to bring us into reconciliation with Him. There’s no need for guilt to linger, just repent of whatever you feel the Holy Spirit leading in your heart and accept God’s total, complete forgiveness. You are loved with an everlasting, agape love from God and nothing will ever be able to separate you from that. YES , I SURE APPRECIATE THAT UNCONDITIONAL AND EVERLASTING , FORGIVING AGAPE LOVE THAT HE GIVES TO US , THANK-YOU ALL THE WRITERS FOR WHAT YOU DO , IT MEANS SO MUCH TO SO MANY , IT IS A WAY TO CRAVE JESUS AND KNOW WORSHIP IS DEFINITELY THE OPPOSITE OF WORRY !!!!!!!!!! !